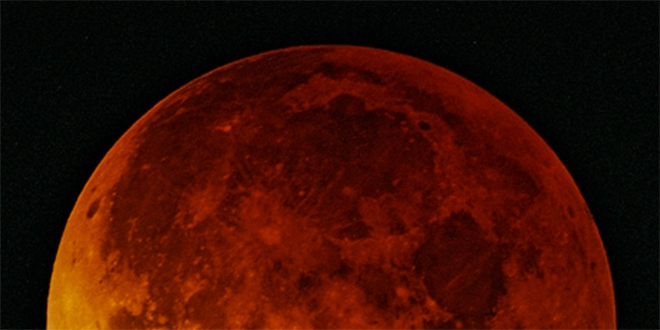 Sky watchers and observers of the lunar system will notice an extremely rare cosmic sight tomorrow, October 8, when a total lunar eclipse is expected to occur in different parts of the world. The total eclipse of the moon, according to the News Agency of Nigeria (NAN), will result in a clash simultaneous rising of the sun in what scientists have called “selenelion,” a phenomenon that celestial geometry says cannot happen. During the lunar eclipse, the sun and moon will be exactly 180 degrees apart in the sky. In a perfect alignment like this (called a “syzygy”), such an observation would seem impossible. The images of both the sun and moon are expected to be lifted above the horizon by atmospheric refraction. This will allow people on earth to see the sun for several extra minutes before it actually has risen and the moon for several extra minutes after it has actually set. As a consequence of this atmospheric trick, watchers in different locations will have a chance to observe this unusual sight firsthand, with the possibility of simultaneously seeing the sun rising in the east, while the eclipsed full moon is setting in the west. Nigerian football chiefs face prospect of mass imprisonment Is Oil Still Nigeria’s Cash Cow?